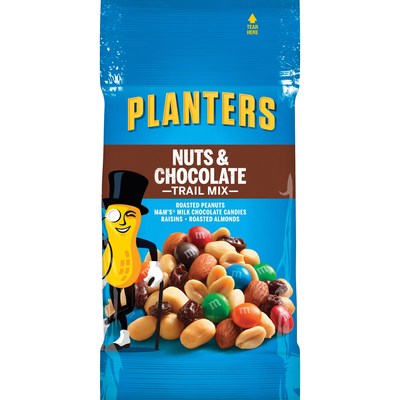 Enjoy This Nut And Chocolate Trail Mix As A Perfect On-The-Go Snack. Trail Mix Contains A Delicious Blend Of Peanuts, Raisins, Chocolate Pieces, Cashews And Almonds. More From The Manufacturer.